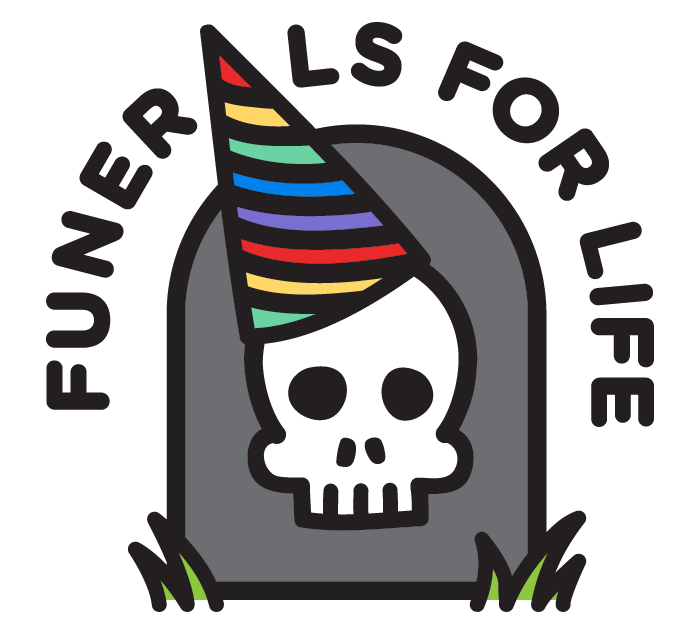 Welcome to Funerals For Life! We are a one of a kind event service operating out of Portland, Oregon. We strive to blend campy morbid humor with the somberness of loss to create a quirky, unique, once-in-a-lifetime send off… for people that are still alive and well! Have you ever wondered what it would be like to experience your own funeral while still alive? Consider it a dress rehearsal. We will tend to your corpse, organize your service, and give you a one of a kind send off. You provide: your body and your will. We provide: an experience like none you’ve ever heard of. Do you wonder what your friends and family would say about you if you passed away? Now you can lay still in a comfy box and listen to their true impressions! And hey, it’s your party and you can cry, if you want to.